Will is the only reason they won that game. Terrible effort by the Komets. That kind of effort in the playoffs and it will be 4 and out. Kinda gotta agree. Why is it this team always plays to the level of their opponent? They should have blown Evansville away! 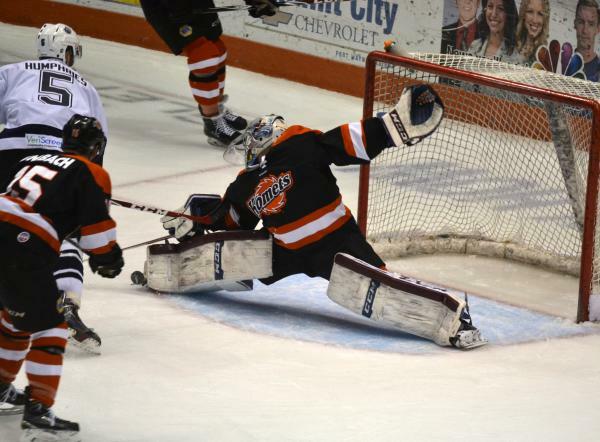 Roman Will played great and kept us in it until the whole team finally decided to play Komets hockey. They need to play a full 60 minutes if they expect to go far in the playoffs. They can't always wait until the 3rd period to turn it on. I hope they figure that out...SOON! I truly believe that once the playoffs start this team will step it up to another level. I know we all want them to do that now, but it is just something about that do or die situation that changes everything. I sure hope I am not wrong. Dont judge Evansville by their record recently. They have been playing their opponents( very good teams) tough lately. According to a friend in Evansville, their goalie is a college kid they just signed. I thought he did a good job.